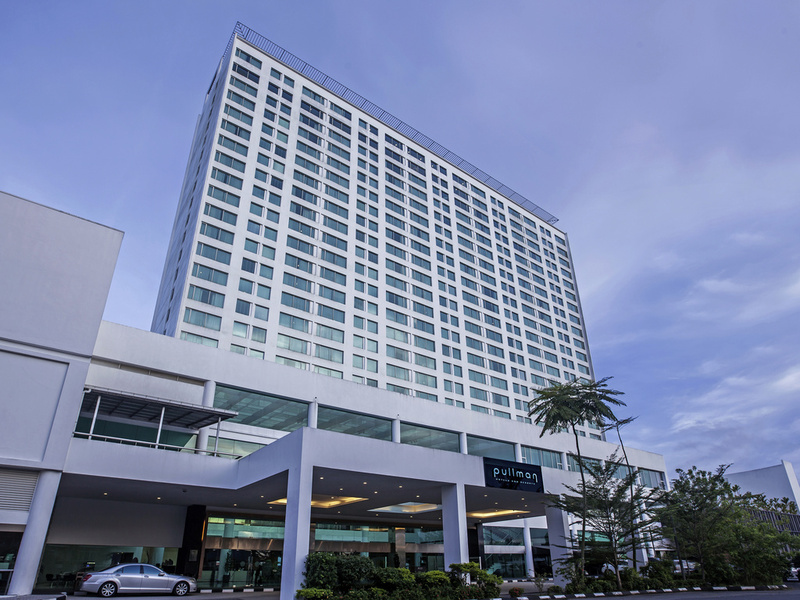 Pullman Kuching is located on a hilltop;The location makes the hotel look grand. However, for the solo traveler and lady travelers should not walk down the hill where one restaurant situated.It is better to take grab as it will cost you only 4 Rm to reach to the night markets where cheap food shops are available. I like the quick responses from the housekeeping to my request, although they initially forgot to give me a comb, and also forgot to refill water bottle on the 2nd day of my stay. Although my room including my bathroom is clean, the cleanliness of the secretariat room was not up to my expectation. I got the dusty smell as soon as I entered the room. Overall, i'm satisfied with my experience staying at Pullman Hotel. Everything was excellent. Friendly staff, clean room, nice breakfast. A bit dissapointed as the swimming pool still under maintainance by that time. Also please check your electrical ware in every room. The hairdryer in our room didn't work out. Thank you. the staff very helpful and friendly in hospitality manner. but the restaurant hygiene is very poor, i have found the fly inside the dishes during breakfast. Presenable stay and very logical landmark. Overall the ambient of the hotel is okay. Just that the room facilities needed to be maintain urgently. The rooms are spacious, modern, clean and you have a nice view. Breakfast has ample of choice satisfying desires of guests from most countries. Just a bit cold, we preferred wearing a sweater. The lobby is modern, spacious but has a sterile business atmosphere. Sitting at the bar was not attractive. The band in the evening was so loud coupled with the atmosphere of a big hall and pricey drinks chased us away. We went to the bar of the hotel opposite. There we found cosy atmosphere, no live music but cool lounge music, drink promotions, food promotions and a view. Pullman, take this as an example. We even went for dinner there. The pool was partially closed for maintenance, but we could use the pool of the hotel opposite. Again the hotel opposite had an advantage. The water was warmer inviting for hanging around in the water and not just briefly jumping in and the offers at the pool bar were good and attractive concerning quality and price. despite changing room but still encountered the same problem pertaining to room temperature whereby air cond in the room didn't work well. the air cond of the first room was found with very low air flow rate whilst 2nd room's air cond was found high air flow but too noisy but air was not cooled. satisfied and feel comfy staying at pullman kuching.Room for improvement: breakfast (when compare to hilton). I like the location. Breakfast was good. Hotel room is the best ! It’s shorr distance to go to the city by walk. Room was comfortable, good location, service was great! The room n foods are very nice. Very satisfying with the services here. We had such a warm welcoming and it was like returning to a friend's house. The staff were very responsive to our needs and keen to make us comfortable. We especially appreciated the professionalism of Tanya Marjorie and her expert skills. Gee was also very helpful. Rooms are such a generous size with spectacular views. We will certainly return to experience this warm hospitality. The friend with whom we traveled could not believe the level of service and will also be returning. The club room was also of a high standard. It is good except for the toilet which had stucked. Thank you for the maintenance who was fast enough to fix it.